I have never met the Scottish writer, Val McDermid, but it was she who convinced me that I should write this post. In a recent article in The Guardian, she commented on the involvement of writers in the Scottish independence referendum campaign. "When people lose trust in politicians," she suggested, "they need to find it elsewhere. Maybe, because they trust writers to tell some kind of truth buried in the fiction, we are being listened to as we rarely have before, and that's a scary thought." Scary, perhaps, but here goes. I rarely allow my political views to surface here. They are a matter of public record (serving as a councillor and standing for Parliament are not things one can do in secret), but this blog is primarily about my books, and aimed at people who either are, or might be persuaded to become, readers of them. Not all of these people live in the UK, and those that do may well not share my politics. I won't presume to tell anyone how they should vote, (although I do hope that those who are entitled to will exercise the rights that have been won for us at the expense of much bloodshed). Instead, I will tell a story, and attempt to paint a bigger picture than often emerges from the speeches of politicians. 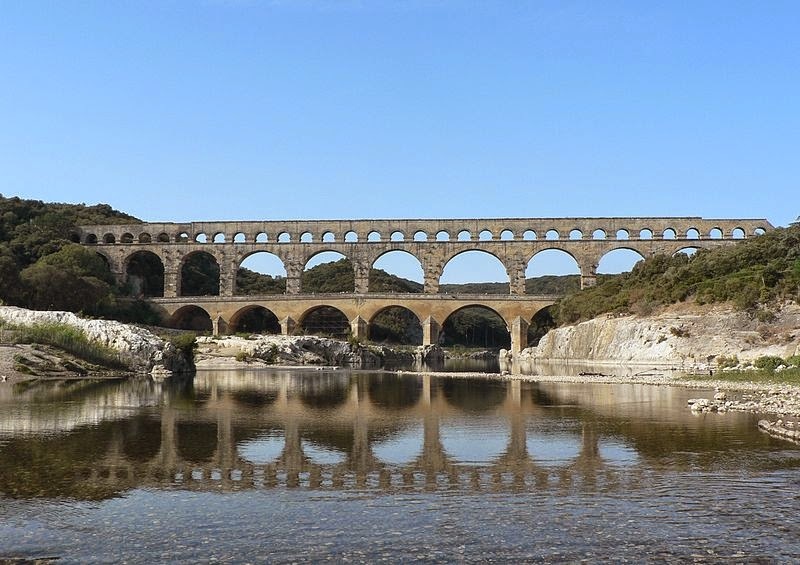 It begins here, at the Pont du Gard, in Southern France, a Roman aqueduct which is at once a thing of beauty and a marvel of practical engineering. Le Pont du Gard. Photo: Patrick Clenet (licensed under CCA). In 1969, the art historian, Kenneth Clark, sat in its shadow to record the opening scene of his ground-breaking television series, Civilisation. Speaking of the collapse of the Roman Empire in the 5th Century AD, he expressed the view that European civilisation had survived these traumatic events "by the skin of our teeth." He had in mind, of course, the tiny handful of scholars of the early Middle Ages who kept alive the flame of Classical learning: the Italian monks of Monte Cassino, who copied the works of Tacitus, and the Anglo-Saxon scholar, Alcuin of York, who revived the historical tradition of Suetonius at the court of Charlemagne. 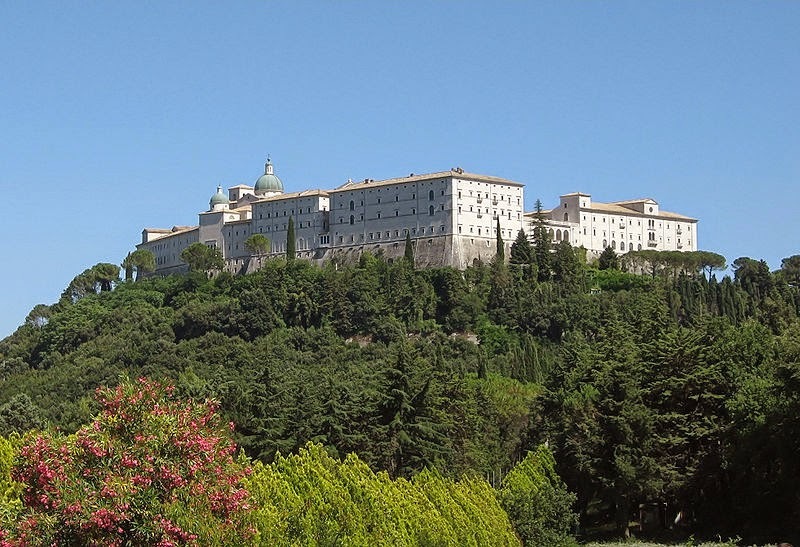 The Monastery of Monte Cassino, Italy. Photo: Ludmila Pilecka (licensed under GNU). 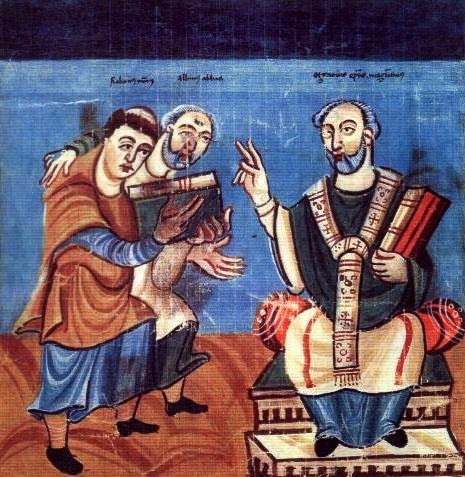 The monk, Raban Maur (left) and Alcuin of York (centre) presenting scholarly works to the Bishop of Mainz (right). Vienna, Osterreichische Nationalbibiothek, Codex 652 (image is in the Public Domain). Only modesty prevented Kenneth Clark from mentioning that civilisation had survived by the skin of its teeth once again in his own lifetime, and that he had played no small part in this himself, ensuring the protection of Britain's greatest artistic treasures by evacuating them from London to secret locations in the countryside. My own great-uncle, Frederick Haynes, played his part also, as a soldier of the British Eighth Army, ironically enough in the Battle of Monte Cassino, where he was decorated for bravery. It hardly matters whether he understood the cultural significance of the place in which he was fighting: he was certainly in no doubt about the difference between the civilisation he defended and the barbarism that he was up against. 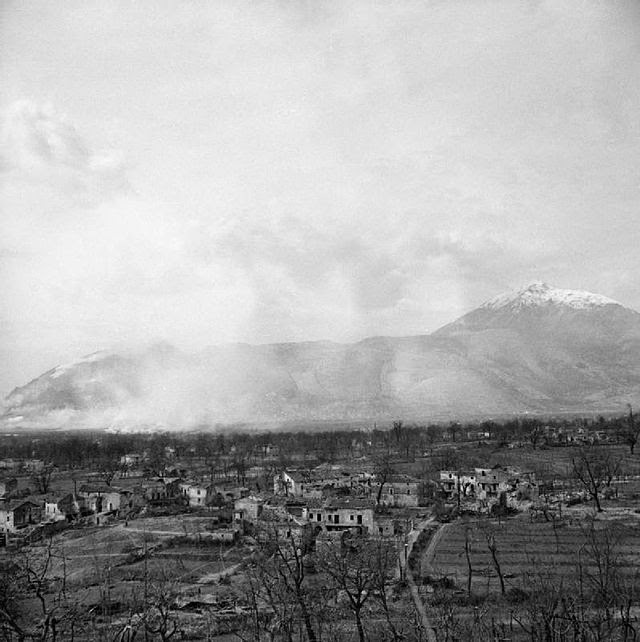 The Battle of Monte Cassino. Photo: Imperial War Museum, Non-Commercial License, NA13010. In the decades since the end of the Second World War, Britain has, I believe, become more civilised. My mother was born into a country in which people were imprisoned for being gay; in which men and women were hanged on the basis of unsafe convictions; in which the Police Service was institutionally racist; in which women were systematically excluded from many of the career opportunities available to men. She joined the first cohort of nurses in the NHS and, in London, nursed children of all races on an equal basis. 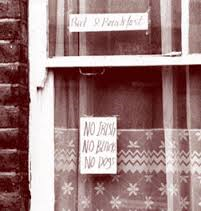 My Irish father arrived in a country in which lodging houses displayed notices saying "No Blacks, No Irish." Harrow, 1966 (image is in the Public Domain). Am I saying, then, that all of this is at stake in the coming election? Not exactly, but I fear that it might be. Conservative and UKIP candidates promise an early referendum on the UK's membership of the European Union. I am very unsure as to why this is felt to be necessary (we have never had a referendum, for example, on our membership of NATO), but, under a Conservative Government, it will surely happen. At stake then would be our right, as individuals, to study, work and receive healthcare in any EU country; not to mention the economic benefits of the single market; and the protections offered by the European Court of Justice. I would, of course, lend my support to the "In" campaign, but are we really sure we want to take the risk of the economic chaos that might follow an "Out" vote? The risks are not only economic, but also political. If the UK votes "Out" but Scotland votes "In," there would be an immediate demand for another independence referendum, which the Scottish Nationalists would easily win. Wales might well follow. Has anyone given any thought to what the political landscape would look like (or feel like) in a rump "UK" that might comprise just England and Northern Ireland? Issues (including, for example, capital punishment) that have been off the agenda for a generation (in no small part because of the European treaties), might well reappear. I struggle, here, to see a country in which I would wish to live. My choice at this election is an easy one. I will vote Labour, as I always have. My constituency has, I believe, been well-served by its Labour MP, Dame Joan Ruddock, who is stepping down at this election, and the candidate who aims to succeed her, Vicky Foxcroft, has served us well as a local councillor. People in other constituencies, with different dynamics and different candidates, may well make other choices, but I very much hope they will not lose sight of the bigger picture as they do so. You are so succinct in your arguments and so clear. Plus you echo my sentiments. I may not have Joan Ruddock - a lady I have always admired from my CND days - or her successor as my sitting MP, but living in the safest Plaid Cymru seat in Wales, I can vote to make a difference. Thanks, Roland! I was a Labour councillor in Carmarthen in the 1990s, and Plaid were our main rivals. They seemed, in that time and place, to have a remarkable talent for combining progressive rhetoric with regressive actions, but that was a long time ago, and Lewisham is a long way from West Wales.